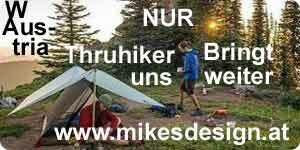 "W Austria Thruhiker Mo 01/18 Mensch Garmin"
01.01.2018: 4889., 001./ 01./ 004. Runtastic 1. 07.01.2018: 4895., 007./ 07./ 013. Runtastic (0021) 2. 27.01.2018: 4915., 027./ 27/ 041. Runtastic (0081) 3. 29.01.2018: 4917., 029./ 29/ 047. Runtastic (0087) 4.